One of the prettiest drives in Illinois is the Meeting of the Great Rivers National Scenic Byway, and one of the prettiest bike rides runs right alongside it, the Sam Vanalabene Bike Trail. So pack your bikes on the car and plan a weekend bike trip. You’ll find great B&B’s in the area (see listings below), and lots of enjoyable stops as you cruise along the river. The Sam Vanalabene Bike Trail, which is entirely paved, runs for 20 miles between Alton, Illinois, and Pere Marquette State Park. Tall limestone bluffs buffet one side of the trail and the mighty Mississippi River is on the other side. Stop by the Visitor’s Center in Alton and you can pick up maps of both Madison County and the Southern Illinois Bike Trails. The relatively easy route takes you through a number of picturesque little river towns, such as Elsah and Grafton. There are mileage markers along the way—the first number notes the distance is you start in Alton, the second number is the distance from Pere Marquette. You’ll also find interesting diversions en route, such as a 48-foot tall native American petroglyph at Piasa Park, just north of Alton. Further along at Clifton Terrace Park is a wonderful patch of native prairie grasses and wildflowers, reminiscent of what Illinois looked like hundreds of years ago. 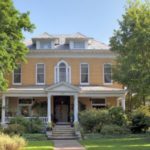 Be sure to take a break in Elsah for a walk though the historic town with its charming homes—many listed on the National Register of Historic Places—and quaint shops. A must stop is My Just Desserts, a restaurant known for its superb chicken salad and luscious pies. There are usually nine or more pies on the daily menu, and with all the biking you’re doing, you’ve earned a slice! Grafton is another fun stop with more little shops and cafes. Two Rivers National Wildlife Refuge runs along the river from here to Pere Marquette State Park. During autumn, the islands in the river are a major roosting place for bald eagles. Make the journey even more enjoyable by booking a room at one of these charming B&B’s in Alton or Elsah. You’ll enjoy a hearty breakfast before you begin your ride, and have a relaxing place to come home to! Beall Mansion in Alton is a luxurious choice with features such as feathered beds, whirlpool Jacuzzis, fireplaces, and an amazing 24-hour All-You-Can-Eat Chocolate Buffet. is a peaceful retreat in the heart of Elsah. Relax in its lovely garden or one of six comfortable rooms. And if you don’t feel like bringing your bikes, the Green Tree has complimentary men’s and women’s bicycles and helmets. 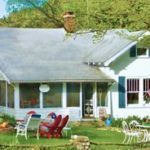 Enjoy a soothing retreat with lots of outdoor places to sit in the garden and on porches at Maple Leaf Cottage Inn in Elsah. Six guest rooms offer modern amenities and old-world charm. It also has complimentary bicycles and helmets for guests’ use. 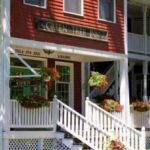 All three inns are members of the Illinois Bed and Breakfast Association … a unique lodging experience! 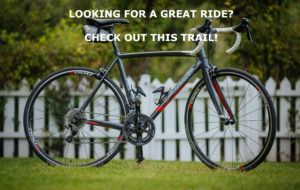 This entry was posted in Biking, Illinois Bed and Breakfasts, Outdoor activities and tagged Biking in Illinois, Illinois B&B's, Summer activities by admin. Bookmark the permalink.